Reduced Workload: Hiring someone else to do your tiring job, allows you and your core team to have more idle time which you could turn productive. Reduced workload offers you enough time to focus on other core business activities, and you may be able to finish more work per day compared to when the business was inefficient with doing the bookkeeping in-house. Cost Effective: Compared to hiring an in-house bookkeeper, bookkeeping services for small business are quite cost effective. You can forward all the hectic bookkeeping and accounting tasks at the fraction of the cost. Contact bookkeeping service providers like Affinity Associates for a free quote and consultation to find out how much money you can save in a long run. Reliable and Interrupted Services: Your in-house bookkeeper may stay on medical leave or anything else, but bookkeeping services are uninterrupted as they have a team of experts for backup. Moreover, their services are more reliable and accurate as they are well-versed with all the latest bookkeeping software. Real Time Update: Accounting firms offer you access to regular financial health checks, and the ability to initiate transactions on-the-go. This can help you monitor your work processes, making you better informed about what works and what doesn’t, and can enable you to work flexibly, and with sound knowledge of your current situation. Never make another uninformed decision. You Stay Focused: When you forward your bookkeeping tasks to accounting firms, you have more time on your hands and less work to worry about. You can focus on prospects that can boost the growth of your business. Any man would want to be able to free up their time just to be able to see the whole picture clearly which is why it is essential that you hire a bookkeeping firm your bookkeeping tasks today. Small businesses in London have limited manpower and over the top, it all have their core competencies to be concentrated on; therefore tasks keep getting piled-on in the bookkeeping section. Moreover, for a small organization, it can be a pricey matter to hire an Accountant or a Bookkeeper unless and until the firm acquires a considerable size. Bookkeeping services are here to rescue and help you expand your business in all the verticals. To know more about how bookkeeping services for small business work in London, and how it can help you save time and money, please feel free to contact Affinity Associates at https://affinityassociates.com. We have more than 30 years of experience in offering best bookkeeping services to small business in London, Harrow, Wembley and other nearby areas. Every business, either small or large, is operated with an objective to earn more profit than it spends. But, how will you figure out whether your business is earning the desired fortune or not? 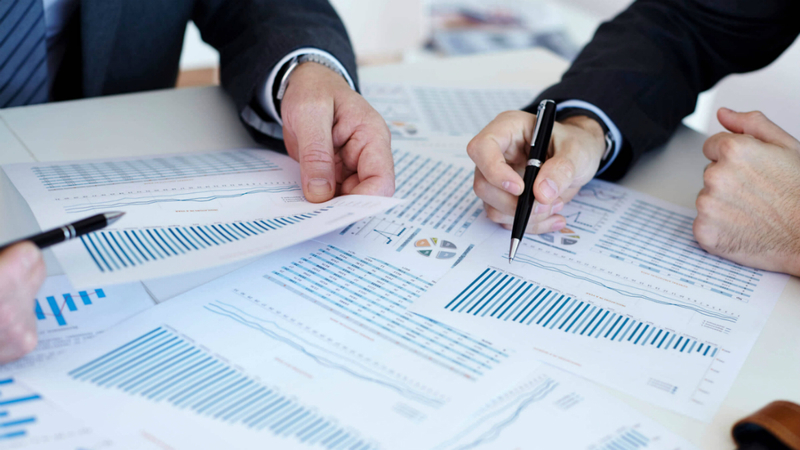 In order to conclude, whether your business is making a profit or not, you need to review an array of financial reports. Of particular importance — especially in the startup phase, where cash is often in short supply — is the cash flow statement. If you or your bookkeeper don’t understand the consequences of this statement, the outcome could be tragic. There are two methods of accounting – cash method or the accrual method, which method does your business use? An experienced and knowledgeable bookkeeper can advise you on which method makes sense for your business and then set up a bookkeeping system accordingly. A professional bookkeeper is well aware about the importance of tracking the finances in the real time, so that when the month ends, the month-end closing is almost done. Putting in place a system of daily, weekly, monthly, quarterly and annual bookkeeping tasks will help keep your business organized and give you up-to-date financial information. It is crucial that the bookkeeper your hire maintains accurate records of your tax – it is properly coded, categorized and tracked not just at the filling deadline but throughout the year. Keeping a proper track of your record tax record will enable you to not only keep up with all the required forms, but also prepare your firm for an unexpected IRS or state audit. This point is especially for the business owners who are maintaining their accounts and tax on their own without any professional help. If you are mixing your personal and professional finances, then there is a higher chance of liability — even jeopardizing your personal assets. If you want to benefit you and your business by the protection offered by a business entity, then it is necessary that you create a firewall between your two financial worlds. And, this can be done by separate bank accounts, separate credit cards and separate sets of books. Even you can conclude from the above mentioned points that no business is complete without the help of professional bookkeeping services. If you cannot hire an in-house bookkeeper, then there are small business accountancy firms like Affinity Associates to take care your finances professionally. To know more about how bookkeeping services for small business works and how it benefits them, please contact Affinity Associates for a free consultation https://www.affinityassociates.com. Some years back, if a business owner required an accountant or a bookkeeper, then he/she needs to hire someone and create a separate department within their business for that function. As an economical solution to this problem, most of the small business owners and individuals have approached towards outsourcing their day-to-day bookkeeping tasks. Outsourcing is a process of hiring a skilled resource from outside of your business to deal with your specialists tasks and paying them a fee to do so. It may be that you outsourced your bookkeeping, your payroll, your copywriting or your marketing. Irrespective of the task, if managed in the right way, outsourcing can add real power to your business. 1. Be More Active in Your Role:: If you are busy handling your bookkeeping tasks instead of focusing on what you need to do to expand your business, then indirectly you are chocking the growth of your business. By the time you are occupied in finishing your bookkeeping tasks, you miss more valuable business opportunities. Leave the task to the professionals and be more active in your role of expanding your business. Irrespective of whether it’s you, or another member of your team who’s taking responsibility for your bookkeeping, there’s no getting away from the fact that the opportunity cost is probably higher than you realise. 2. Have Peace of Mind: : When you contract us for your bookkeeping and accounting tasks, we ensure that you have a complete peace of mind. We offer you all the back up of our expertise to ensure that the job is done in the most professional manner and on time. We also ensure our availability at the time of urgency as well. The level of peace of mind, we offer is hard to find even with the in-house resource. 3. Save More Money: : Our bookkeeping services for small businesses are not only professional but also economical. We can help you save more money than other service providers in the London. This is because you only pay for what your business needs. Unlike employing someone to do the job in-house, you won’t need to pay for periods of sickness or holiday pay. This means our services represents real value for money. 4. Always Have an Expert on Your Side: : An experienced bookkeeper or an accountant who is up-to-date with regulatory requirements will be on your side at any point of time. Each and every member of our team knows what’s required to do the job correctly. You can benefit from this expertise on a pay-as-you-go basis, only ever paying for what you need. With more than 30 years of industry experience, we hardly found a small business owner who says he/she loves bookkeeping, and if you are one of them, then Affinity Associates is here to take charge of all your bookkeeping needs. By hiring a bookkeeper or the entire team of bookkeeper for your business will not only allow you to focus on your business, but will also provide you the exact picture of your finances. You get to do your job and you know that your bookkeeping is being done by an expert. That truly is win:win for you. If you’d like to know more about the pros of our bookkeeping services for small business, then get in touch today at https://www.affinityassociates.com. We’re here and available to give you an impartial view of how your business might benefit from this opportunity. We all know that the global real estate industry is booming at a promising rate, the companies (both especially small and medium-sized) in this industry have been experiencing some challenges of late, including the credit crunch, reduced construction, reduced prices of commercial properties and reduced lending to name a few. 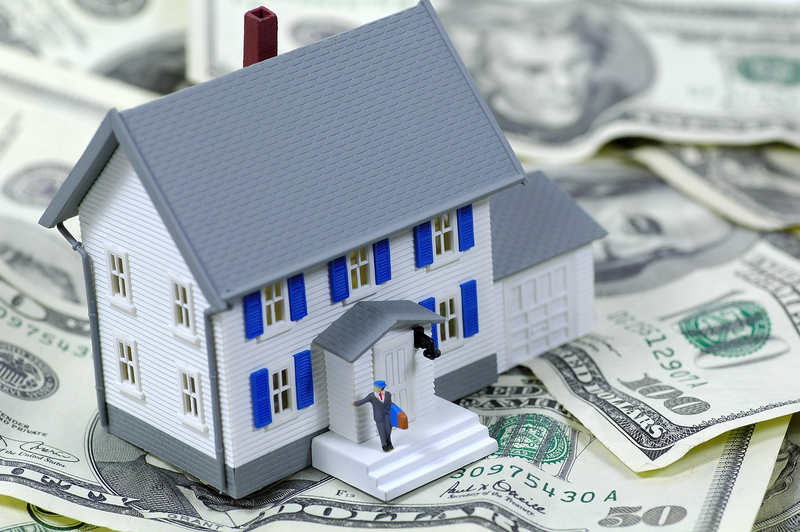 As per the report published by Forbes, the real estate is expected to perform even better in 2019, which means the global real estate industry revenue is projected to increase in the next 5 years. As the real estate industry offers plenty of opportunities for high volume transactions, it is mandatory that the companies associated with it keeps a check on the inflow and outflow of money, almost on a regular basis. Small and medium sized often find it difficult to maintain books of accounts themselves. Professional Bookkeeping services can help them stay on course and paint an almost accurate picture of their financial standing. Timely Update your Accounting Books: Bookkeeping is a fussy process; hence, it is necessary that all your books are updated at a regular interval of time to minimize error and offer the greatest visibility. Small and medium sized companies often overlook or disregard bookkeeping tasks because of the tedious nature of the task. If it is not possible for you to maintain the account books for yourself, then it is advisable to outsource your bookkeeping tasks to firms like “Affinity Associates”. Bookkeeping services not only will not take care of your basic bookkeeping needs such as account maintenance, ledger services, forecasting and budgeting, but also cover a lot of accounting and financial related. Maintain Your Records Perfectly: Not only in real estate industry, but in any industry, it is necessary to maintain the traction records perfectly. But, as the real estate industry deals with the large volume tractions at a fast pace, it is vital to have a pristine record book to avoid any accounting errors in the future. You can maintain your records in Microsoft Excel spreadsheets, and maybe a tryst with QuickBooks or more sophisticated, complex options, such as FreshBooks, BusinessWorks, Buildium, etc. Make Use of Latest Technology in the Industry: Every industry is experiencing the technological drift; therefore, it is a smart decision to step up to the trending technology. You can make use of bookkeeping software such as Zoho Expense, Expensify or Abacus to help monitor data, keep a close track of records, and store eons of data in a fashion that is easily accessible. Moreover, you can also make use of apps like Evernote to create an efficient online filing system and do away with age-old physical filling cabinets. Technology makes data management fast, easy and convenient. Keep the Professional and Personal Transactions Away: It happens that many of your family members are part of your firm, as a result of which, the thin line of distinction between “professional” and “personal” diminishes slowly. Anyone who maintains the bookkeeping for the real estate business should maintain even the small business transactions such as telephone bills. At Affinity Associates, we offer a wide range of bookkeeping services, including creation and management of general ledger, trial balance, balance sheet, financial statements and expenses ledger to name a few. We have vast expertise in finance and accounting services have brought us accolades and support of loyal clients who have been our partners for years. Our well-trained team and top infrastructure allows us to deliver cost-effective bookkeeping services that surpass the expectations of our clients. For a free quote and consultation on our Bookkeeping services for small and medium-sized businesses, please contact us at https://www.affinityassociates.com. Our experts will follow-up with a customized quote within 24 hours. Amid cut throat competition, starting your own business is a tough job. You need to handle all the tasks on your own, because you cannot afford to hire dedicated resources for any specific tasks. Fortunately, there are office tasks for which you can hire remote resources; and bookkeeping services is one of them. No Need to Hire a Full Time Resource for Bookkeeping: You don’t need to hire a full time resource to handle the bookkeeping tasks in your office. Moreover, it also makes a much better financial sense for you to outsource your bookkeeping services. When you hire bookkeeping services from a remote staffing company like Affinity Associates, you only pay for the service when you need one instead of having bookkeepers on payroll when you aren’t maximizing their professional use or time. Business Expansion, but not a Bigger Team: When you are at the point of business expansion, but don’t want to invest in full time resources, then hiring the services of a bookkeeping firm makes for an ideal arrangement. It is not only economical but also frees you from the worry of handling a team or paying for leaves and medical insurance benefits. You can easily expand your business without putting any strain on your finances. Zero Recruitment and Hiring Stress: Hiring a new team member means hiring and recruitment costs along with onboarding downtimes. If you don’t have a team to handle these, hiring a bookkeeping company is a good solution. It saves you from all the recruitment and hiring hassles. Bookkeeping services reduces the amount of time you’ll have to wait before the bookkeepers can start. No Need to Worry about Employee Management: When you hire employees in your office, then you need to spare time for employee management. But, when you hire bookkeeping services, you don’t have to worry about anything, instead you can focus on other business tasks. Better ROI: The best thing of hiring bookkeeping services is it allows you to expand your business with little to no hassle and inconvenience for you. You can get more work done in less time and efforts, and it becomes easy for you to handle big-volume projects. That means better ROI for your business so you can eventually double your revenue alongside your company’s workload. Affinity Associates is a one-stop shop for all your requirements – from bookkeeping to tax to any other professional services your business needs. Our team of expert advisors can help you navigate any bookkeeping related issues. Our bookkeeping services give you the freedom to focus on what you do best. Ready to get the bookkeeping assistance and support you need? Call Affinity Associates today at https://www.affinityassociates.com. When you begin a business, any sort of business, you have to manage numbers. Regardless of whether huge or less, every business needs to keep an exact record of its each money related exchange. Buys, deals, installments, receipts – each and every development of cash that goes all through your business must be recorded. It is conceivable to record everyday monetary exchanges without anyone else’s input; be that as it may, not all entrepreneurs are prepared or sufficiently experienced to do bookkeeping all alone. Consequently, it is a typical practice for various small and large businesses across the UK to depend on skilled bookkeeping services from well-organized and proficient bookkeeping firms in the UK. In this blog, we will clarify why drawing in an expert accountant, who gives quality bookkeeping services to independent venture, is an awesome thought. It’s never been a good idea to start with bookkeeping all alone except if you as of now have enough abilities and expertise for it. Recording and handling expenses, payments, receipts and even tax, are only a small section of services and expertise possessed by the expert bookkeepers. They know how to streamline your whole bookkeeping process. They have what it takes to take every one of the figures, enter them into accounting software, and comprehend them. Professional accountants know how every exchange ought to be dealt with to give you valuable business reports. By and large, bookkeeping is a gifted and testing work, and hiring professional accountancy services will allow you to complete it substantially faster and effectively than you can. Besides, getting bookkeeping services for small businesses takes away the issue of keeping up the precise budgetary records and gives you additional time, which you can use to center around your essential business exercises. Proficient bookkeepers have a more profound understanding of your funds since they manage them on an everyday premise. By offering the understanding of the accounts to you, talented bookkeepers can enable you to explore your business on a solid course. They can enable you to distinguish the potential monetary traps in time with the goal that you can take care of them. To summarize, proficient bookkeepers regulate your funds and help you ward off your business from inconvenience. Proficient bookkeepers and specialists give a profitable administration, particularly with regards to monetary counsel, tax issues, and yearly returns. They watch out for your books every day. This causes them comprehend your cash flow better and monitor it, which is critical for the development of your business. Hiring experienced bookkeeping services for small businesses is constantly profitable for any sort of entrepreneur. If you are looking for expert and skilled bookkeeping services for your small business in the UK, then get in touch with us at Affinity Associates. Affinity Associates is one of the leading bookkeeping and accountancy firm in the UK. It has a team of expert’s bookkeepers and offers a range of bookkeeping and accountancy relevant services in London as well as across the UK. Visit https://www.affinityassociates.com/ to know more about their services. When it comes to business accounts, bookkeeping proves to be one of the most essential aspects. In fact, it is not just a core part of the accounts of any business, but is the vital part of the entire business. A professional bookkeeper is one of the key people that helps to maintain all the vital and also the non-vital financial transactions of your business. No doubt, numerous businesses across the UK ends up spending thousands of pounds each year in employing them OR seeking for the outsourced bookkeeping services. They will help to take off the load from your heads by help dealing with most of your businesses’ accounting and finance matters. In the end, you are stress and worry free. Paying the taxes is one of the foremost part of the business, and so does being updated with the taxation laws and rules, that often keep on changing. Being a business owner, you might not have the time to be updated with the latest tax laws, and might not have the expertise to maintain all the records of the profit & losses that your business has faced. Bookkeeping services will keep all of these in check for you, and ensure that you pay the right amount of tax each year. Helps keep the track of your business expenses, so you are always updated with how much your business is spending and can keep a stop on unnecessary expenses. Keeping track of a lot of things including bill payments, pending invoices, payment received, pending dues, expenses, losses, and more. This eventually helps you to be free from all the accounting matters of your business, and can focus more on other aspects of your business. Helps you to save money as you need not have to employ a full-time bookkeeper at your premises, and at the same time need not have to worry about the quality of services. Most important, professional bookkeeping services in the UK will offer you quality, on time and within budget services, always. Business owners often know the true value of bookkeeping. However, with so many things to take care of, it is quite impossible to be an all-rounder who simultaneously runs the day-to-day operations, addresses minor details, and records every transaction that incurs daily in the books. Business owners who need to take care of their bookkeeping efficiently can either hire a full-time, in-house staff of bookkeepers or engage bookkeeping services for small business from a reputable provider. Technology today has enabled engaging bookkeeping services for small business an easy task. The provider of bookkeeping services for small business helps you with all sorts of backend tasks, such as recording every transaction and monitoring the books. The provider can do all these tasks without having to be present physically in your office! Here are some notable benefits of engaging bookkeeping services for small business. Doing bookkeeping on your own will actually be a waste of your precious time. Rather than bookkeeping, you must spend your time more fruitfully thinking about how to bring more customers, improve business, and streamline various processes. When you engage bookkeeping services for small business, you can avail more time, which you can spend wisely for the betterment of your business. Also, it will give you the peace of mind about keeping your books accurate and up-to-date. If you decide to hire a team of full-time, in-house bookkeepers to take care of all your bookkeeping tasks, then be prepared to pay more. Not only the salaries but you will need to consider recurring expenses such as payroll taxes, insurance, and employee benefits among others, which are mandated by law. When you engage bookkeeping services, however, you get a team of professional bookkeepers to whom you need to pay on a monthly, weekly, or hourly basis. The pricing will actually depend on your requirements, the size of your business, and the amount of work that needs to be done. 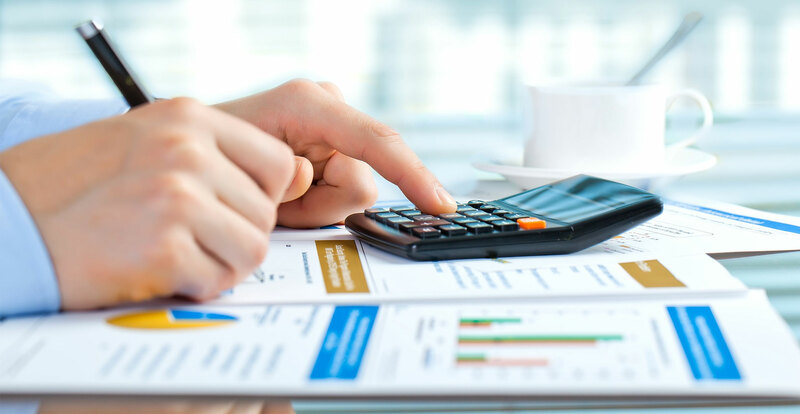 When you engage bookkeeping services, you are basically getting access to a pool of experienced bookkeepers, who can help each other to deliver the best for your business. What is great about this is that it will not cost you as much as when you employ the same number of bookkeepers or accountants to work in your office. Scalability is also not an issue with professional bookkeeping services. As your business grows, your bookkeeping needs also increases, but the provider can adjust easily to these challenges as it already has enough workforce set in place. Bookkeeping is always at its best when bookkeepers are at work! Not that you are bad with numbers, but it is wise to leave the bookkeeping to the expert bookkeepers. The provider of bookkeeping services for small business has professional bookkeepers who know what they must do even when they are half asleep. The skilled and experienced bookkeepers will always be there to address all your concerns and queries. What is great is that they will not leave you stranded but instead provide practical answers and solutions to run your business better. Quality is everything for the providers of bookkeeping services for small business. In order to maintain the reputation of their business, these providers have stern quality-check measures in place to ensure errors are avoided at all cost. Keep in mind that a bookkeeping error can have a ripple effect, which can create headaches for business owners. To avoid this, bookkeeping needs to be accurate and error-free, which the providers of bookkeeping services are expert at doing. When in need of quality bookkeeping services for small business, UK business owners rely on Affinity Associates. With some of the most skilled and experienced bookkeepers, Affinity Associates provides unparalleled bookkeeping services for small business in London and across the UK. To learn more about our bookkeeping services, click here. Often, small business owners interchange the important term ‘bookkeeping’ with ‘accounting’ or ‘accounting’ with ‘bookkeeping.’ They should not do that as both these accountancy terms are different. Bookkeeping and accounting have separate financial functions, and both of them are integral parts of small businesses. It is important to understand these terms because streamlined financial records and organized finances are key to the success of a small business. Understanding these terms also helps when it comes to engaging the right services, i.e., bookkeeping services for small business and accountancy services for small business. Bookkeeping is an accounting process of recording all daily financial transactions, both cash and credit, of the business. The one who carries out bookkeeping is called a bookkeeper. Bookkeepers need to record all the sales, receipts, purchases, and payments transactions of the business in the correct daybook, customer (sales) ledger, supplier (purchase) ledger, or general ledger. You need to keep in mind that a ledger is a principal book. It is the key to the finances of your business; hence, it needs to be accurate. Bookkeeping can be simple initially, but as the size of your business and the number of transactions increase it can quickly become difficult to manage. In such a case, engaging quality bookkeeping services for small business in the UK from a reputable firm like Affinity Associates can be helpful. Bookkeeping can be carried out on a piece of paper or a spreadsheet, like Microsoft Excel. Today, however, much of the bookkeeping is done using specialised accountancy software applications. Whether carrying out bookkeeping on a paper, spreadsheet, or an accountancy software, it is a time-consuming task. Furthermore, whether being an expert or not, an in-house bookkeeper (or you if you are doing the bookkeeping yourself), can make errors. For that reason, it is beneficial to engage bookkeeping services for small business, where professional bookkeepers will quickly complete the task, under the direction of an experienced accountant, which by the way, minimises the errors. Accounting or accountancy is a broad terminology. It deals with summarising, analysing, and reporting financial information of the business. Accountancy or accounting provides information on the current resources available to the business, how those resources are financed, and the results the business achieves through the use of those resources. 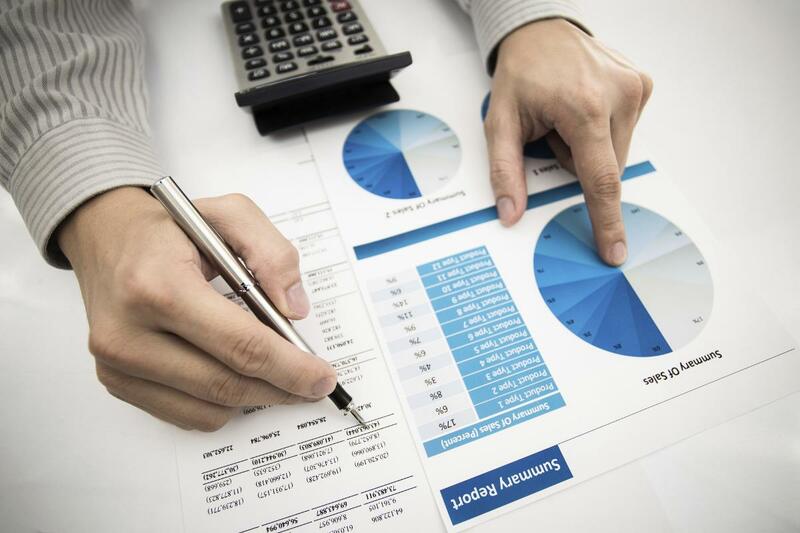 The function of accountancy is to prepare statements of the financial affairs of the business. It also includes the analysis of the figures recorded by the bookkeeper in order to ascertain the financial health of the business. Furthermore, the function of accountancy also extends to the preparation of various business taxes and other financial materials. The one who carries out the accounting or accountancy is called an accountant. Employing full-time, in-house accountants can be very expensive. Therefore, whenever the need arises, engaging certified accountants for small business in London from a firm like Affinity Associates, can be beneficial. Who qualifies as an accountant? In the UK, there are no license requirements for anyone to call themselves an accountant. Nevertheless, it is wise to deal only with trained and qualified accountants. Such a qualified accountant is referred to as a CA (Chartered Accountant) or ACCA (Chartered Certified Accountant). In order to achieve a qualification, an individual needs to pass a series of examinations and undergo a period of appropriate work experience. Accounting can be difficult, depending on the size and nature of the business. Therefore, as mentioned before, engaging accountants for small business can prove to be sensible for a business owner. So now you know what bookkeeping and accounting are. You can, of course, carry out both bookkeeping and accounting in-house, but they often prove to be uneconomical, especially for small businesses. Therefore, it will be in your best interest to engage both bookkeepers and accountants for small business. At Affinity Associates, we offer both bookkeeping services for small business and accountancy services for small business in London and across the UK. Contact us today to discover how we can help you keep your books accurate and up-to-date and how we can help you manage the finances of your business. Get in touch with us through the following link http://www.affinityassociates.com/contact-us/.